Expertly finished cases, captivating fumé dials, and incredibly fine watchmaking … these are a few of our favourite Moser things. 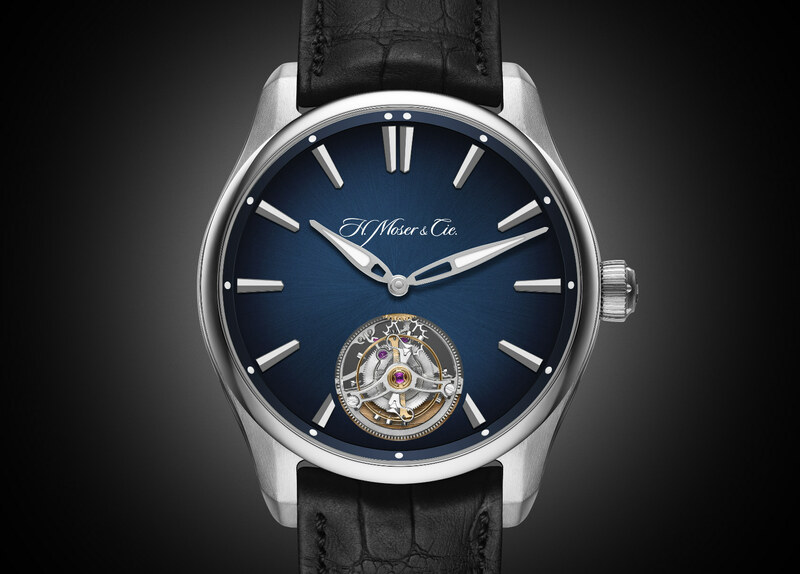 And, once again, all three are combined in the “very rare” brand’s latest Pioneer offering – the Moser Pioneer Tourbillon. More suitable for everyday wear, with a more robust steel case and a more casual design, the Pioneer collection is Moser’s answer to an entry-level luxury sports watch. Which, with the introduction of a flying tourbillon to the line-up, is an answer that was just made a little more complicated, but in the absolute best possible way. 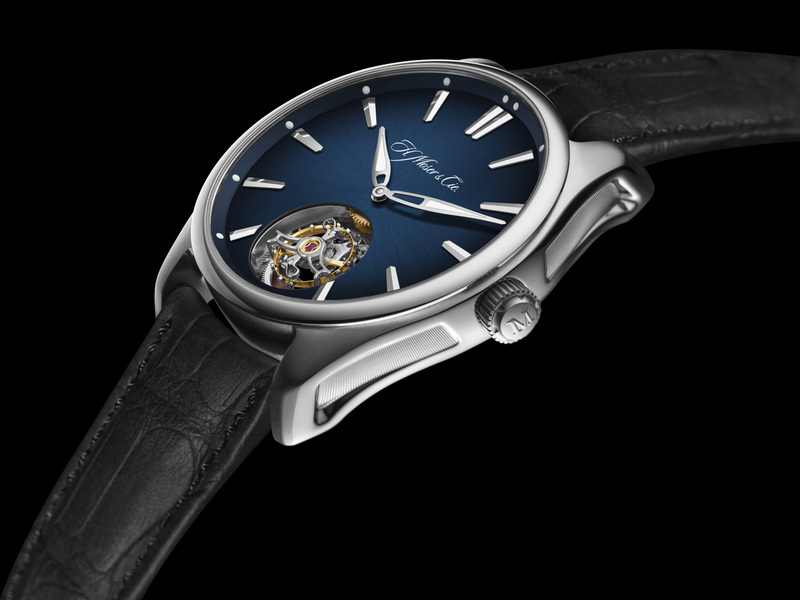 Still on offer is the same 42.8mm stainless-steel case with a water-resistance of 120 metres, as well as a midnight-blue fumé dial – a Moser specialty – with luminescent elements dotted around the dial and filling the semi-skeletonised hands, and an in-house movement with a 3-day power reserve. However, that movement is now the manufacturer calibre HMC 804. Featuring an 18-carat red gold rotor that quickly winds the barrel fully via a bi-directional pawl winding system, and a pair of in-house designed and produced flat hairsprings that work in opposition to one another to improve accuracy and isochronism by correcting the point of gravity on each spring as it expands. Putting the haute in haute horlogerie, however, is the one-minute flying tourbillon with skeletonised bridges at 6 o’clock. 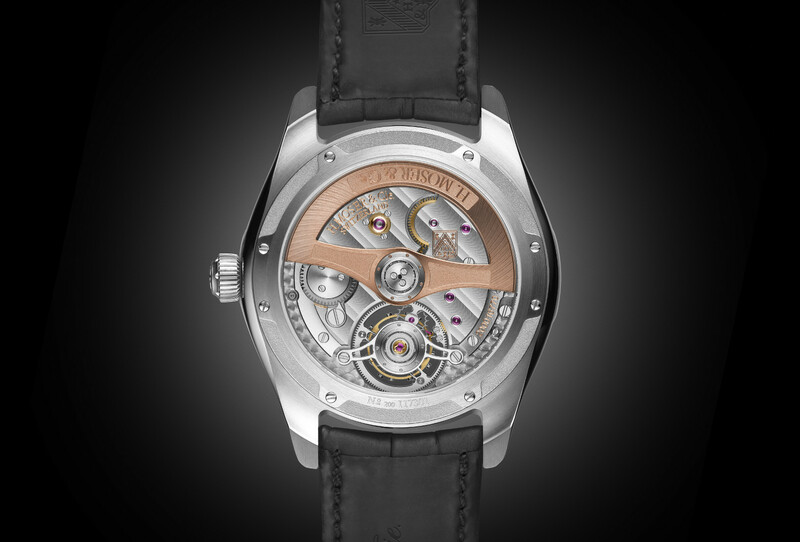 Uniquely designed so that it is interchangeable, each tourbillon is assembled and regulated independently of the movement and simply plugs in. Allowing for easy servicing and resulting in a tourbillon that is better adapted for the “every day”, just like the watch it now calls home.